PRESENT POSITION:Christine T. Lee is a Senior Valuation Consultant with the Long Beach, California office of Klaris, Thomson & Schroeder, Inc. EXPERIENCE:Ms. Lee has been actively engaged in the appraisal profession for 17 years. She specializes in the valuation of equity interests in closely-held entities involving controlling and minority interests for estate tax, estate planning, ESOPs, litigation support, divorce, dissolution, SBA financing, corporate planning, merger/acquisition, sale/purchase, fairness opinions, purchase price allocation, intangible assets and other purposes in many different industries. In addition, Ms. Lee has valued various interests in General and Limited Partnerships; undivided interests of various assets; promissory notes; conducted voting versus non-voting stock discount studies; and opined on reasonable compensation. Ms. Lee also specializes in the valuation of real estate. Ms. Lee’s real estate valuation experience includes but is not limited to the following: multi-family complexes, office and industrial buildings, mobile home parks, golf courses, leasehold interests in Marinas, subdivision developments, ranches, various agricultural properties. Industries Served: Appraisal engagements completed by Ms. Lee fall into numerous industry categories and market sectors including, but not limited to aerospace, agriculture, apparel, health care, insurance, carbonated-soft drinks, computer services, consumer electronics, construction and engineering, machining, various manufacturing, wholesale food distribution, food production, wireless telecommunications, waste disposal, etc. PROFESSIONAL AFFILIATIONS:Ms. Lee is an Accredited Senior Appraiser (ASA) in the valuation of businesses and intangible assets by the American Society of Appraisers. 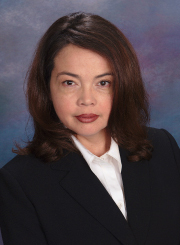 Ms. Lee is the current Senior Vice President of the Los Angeles Chapter of the American Society of Appraisers. Her past positions for the Los Angeles Chapter included: Vice President (2013-12), Secretary (2012-11), Treasurer (2011-10) and Business Valuation Chair (2010-09). Ms. Lee is a General Certified Real Estate Appraiser for the State of California (#AG039621). She is a Candidate for the MAI Designation given by the Appraisal Institute. TESTIMONY EXPERIENCE: Ms. Lee has testified as an expert witness in the state of California. Ms. Lee has testified on Ad Valorem issues in the County of San Bernardino. EDUCATION:Ms. Lee attended Mount St. Mary’s in Los Angeles, California, and holds a B.A. in Business Administration. In addition, Ms. Lee received her MBA in 2004. She has attended numerous appraisal courses and seminars conducted by the American Society of Appraisers, the Appraisal Institute, and others. She coordinated and hosted the U.S. Tax Court Case Symposium for the Los Angeles Chapter of the American Society of Appraisers (5/17/2012).